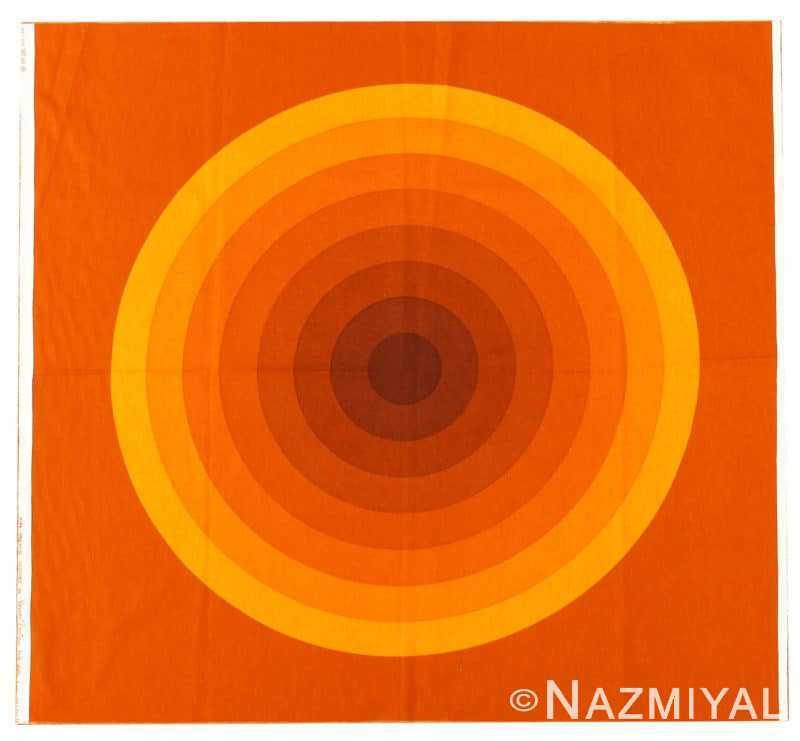 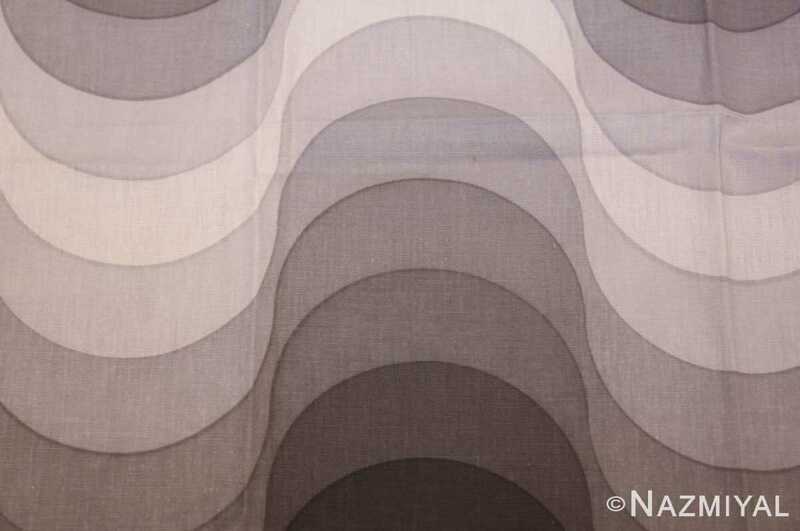 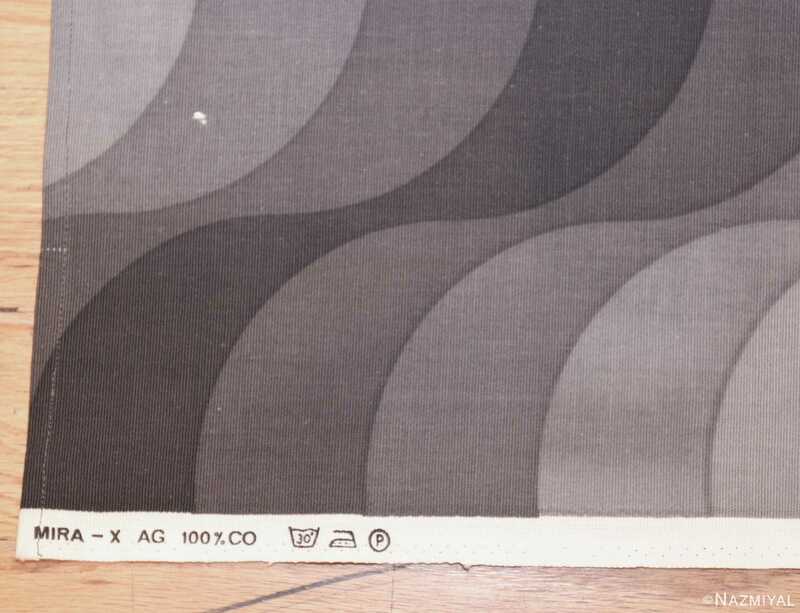 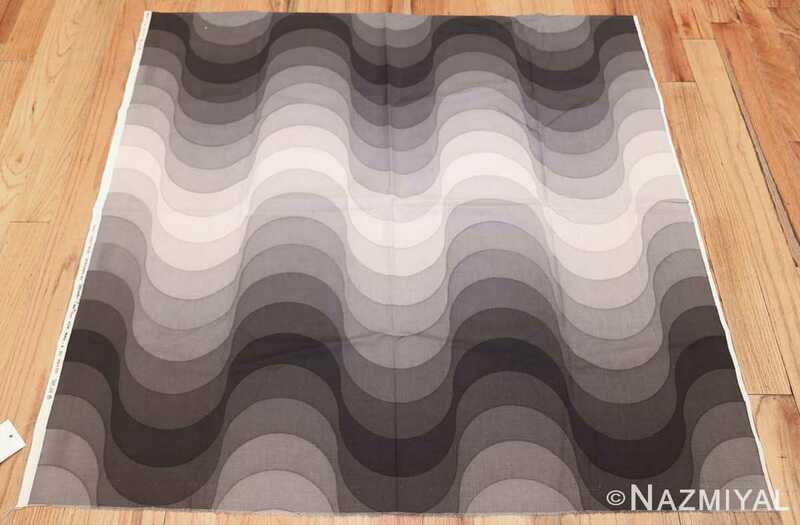 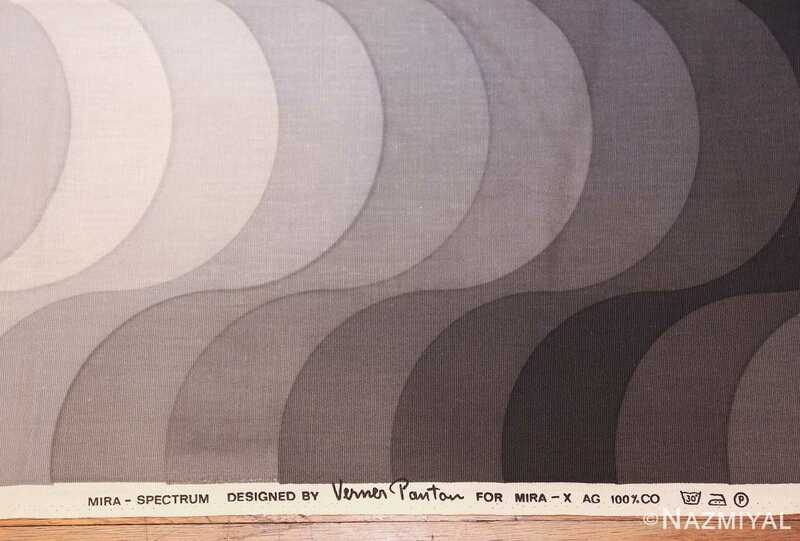 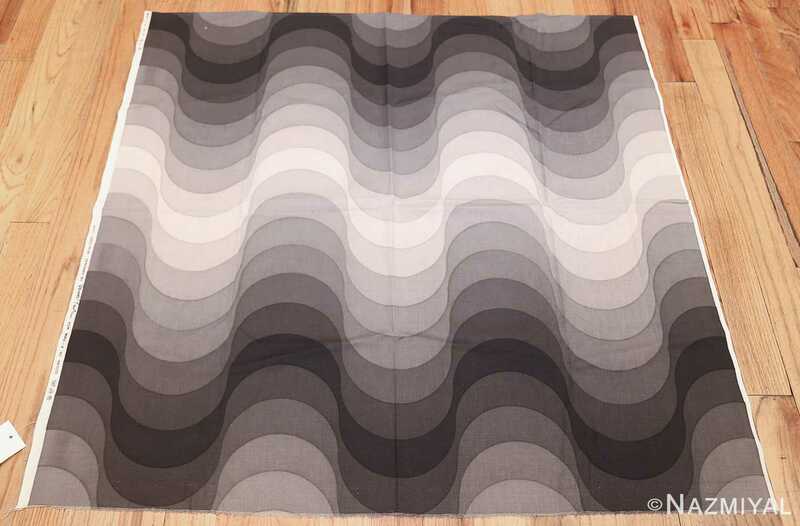 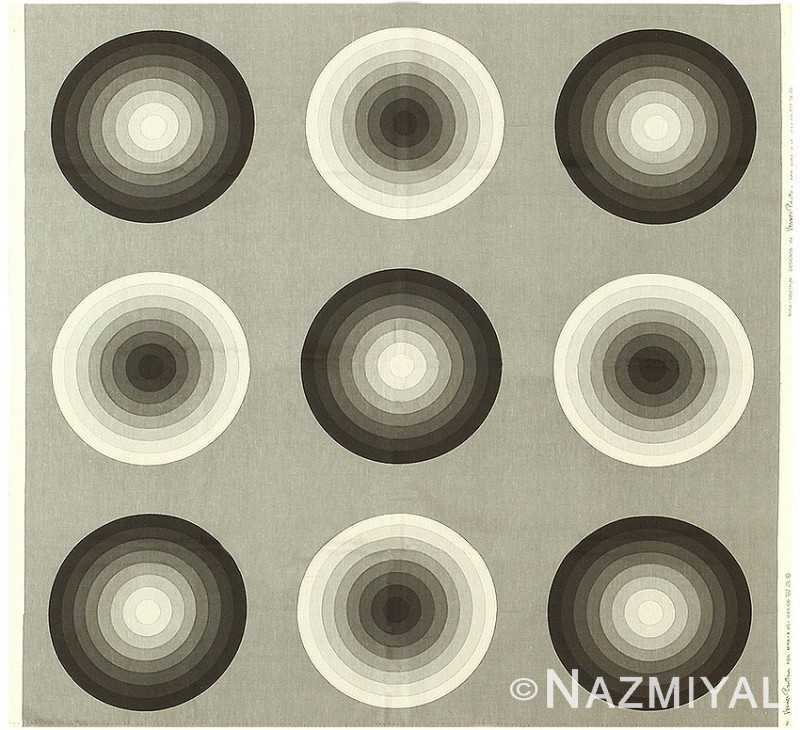 Vintage Verner Panton Textile, Denmark, Mid 20th Century — A beautiful square size vintage textile by the iconic designer Verner Panton features an archetypal undulating wave pattern, called Welle (Wave), created in an ombre like set of white and grays. 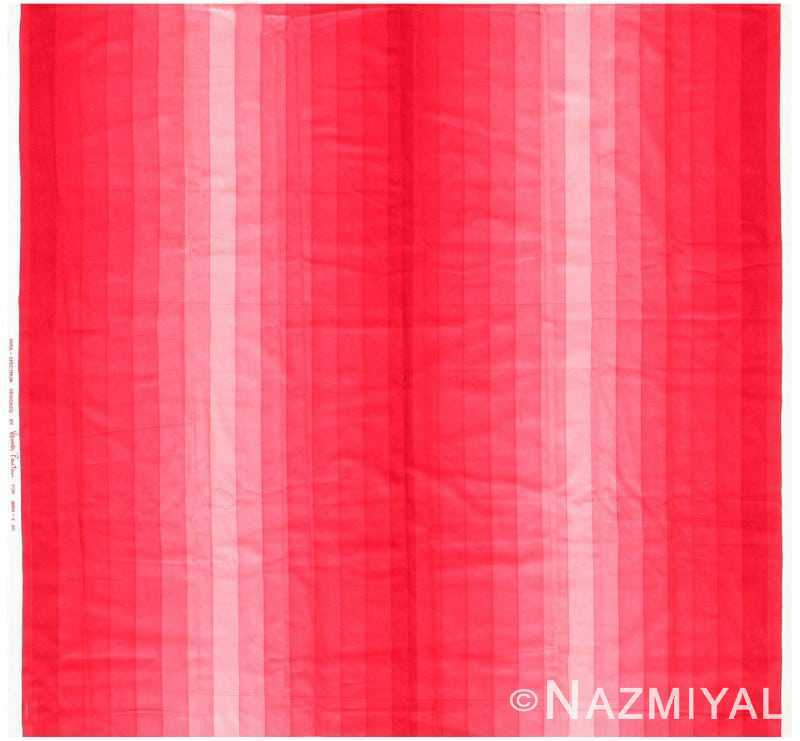 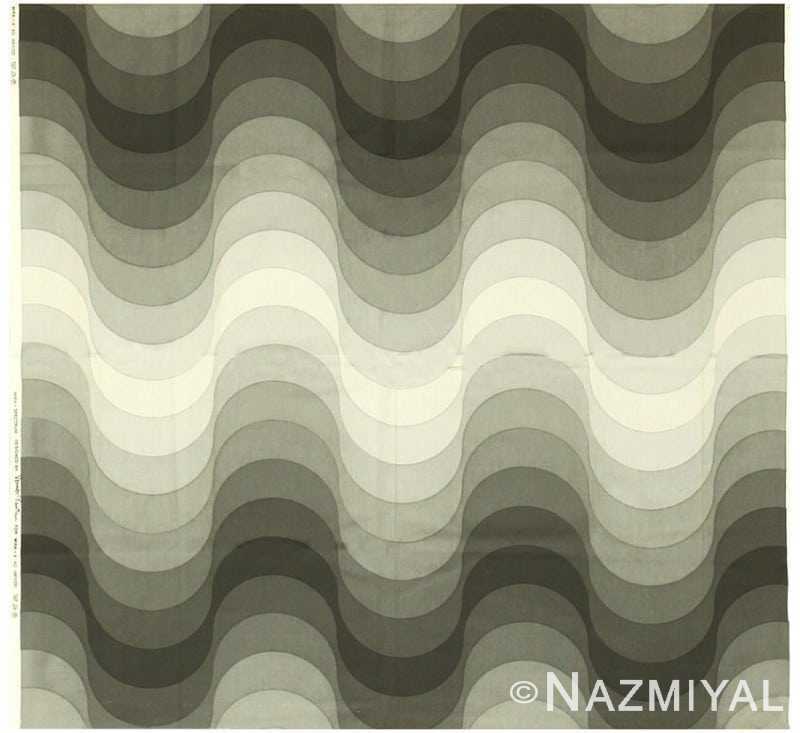 The center of the textile is a white wave and on each side of it the pattern is created by ever darkening waves of gray until there are seven shades ending in dark charcoal and then repeating the pattern again in the opposite order. 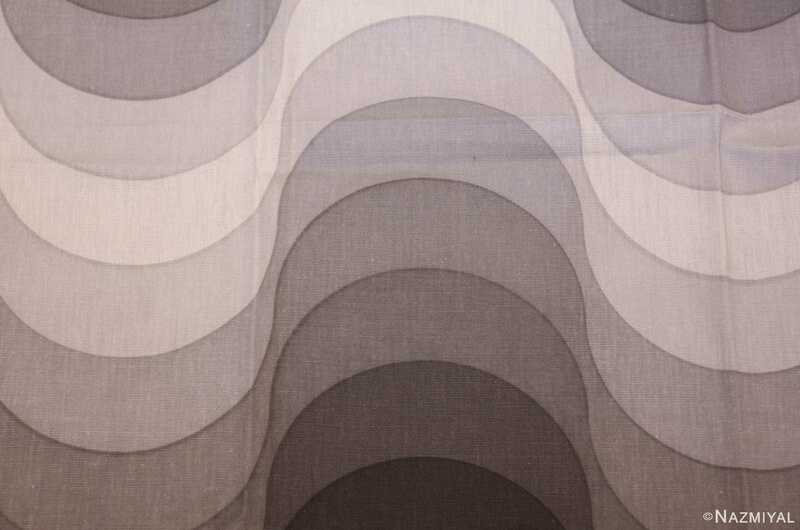 In Panton’s uniquely Danish futuristic design there is a sense of movement even within such a monochromatic scheme.